Described by the agent when in production as ‘Sea going opulence’ its easy to see where the inspiration came from. She would have been the equivalent of a small superyacht at the time of her build. 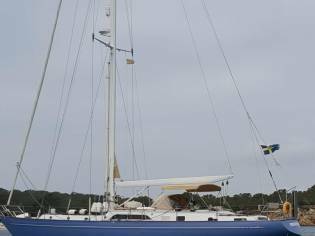 On deck, she has been designed around short-handed sailing. 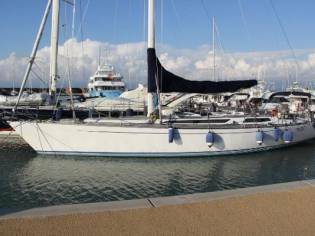 The current owner's addition of the alloy fabricated pilothouse with secondary internal helm ideally suited to cruising in northern climes. Below decks, she offers sumptuous accommodation for four in two grand cabins at either end of the boat. A huge open plan saloon with two separate seating areas makes her ideal for spending long periods aboard. • Standing rigging replaced in 2010. 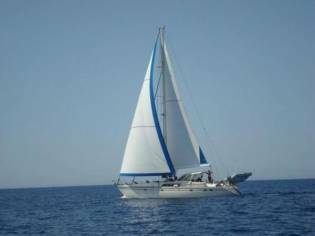 • Electric furling genoa and staysail. • Hydraulic in-mast furling mainsail. • Mermaid Marine Ford Melody II engine fitted new 2005. • Fisher Panda 6.5kva generator fitted new 2005. • SidePower hydraulic bowthruster fitted new 2011. • Dual Raymarine plotter and radar systems. 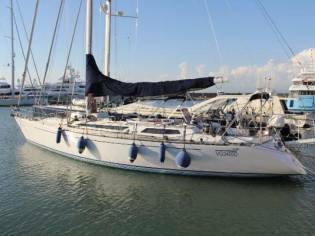 Constructed using the finest of materials she has worn very well and is now a very attractive proposition for a liveaboard or comfortable high latitude cruiser. • Two independent manual steering systems. • Two independent autopilot systems. • Two independent radar systems aboard. • Twin anchor windlass’s with both anchors self-stowing. The Ancasta Marine company eventually became the Ancasta Brokerage operation as we know it today. 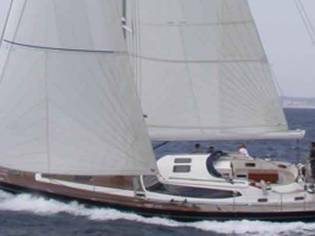 The Ancasta Surprise 58 was designed by Dutchman Pieter Beeldsnijider. The boats were built in Taiwan and imported to the Isle of Wight for finishing and commissioning. Each boat being a semi-custom build to suit the commissioning owners requirement. At one stage it was proposed a one-design fleet of Surprise 58’s would compete in a ‘race within a race’ as part of the 1985 Whitbread Around The World race. The idea was to offer a low budget alternative to the one-off maxi yachts which dominated the event fleet at that time. Sadly this idea never made it to the start line. 12 examples of the class were built in the early 1980’s. 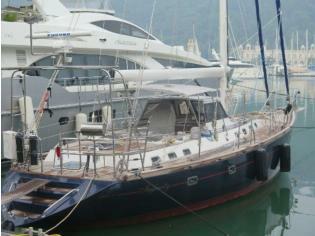 The hull of the Surprise 58 became the base of the Tayana 55 in later years. Yachting World – Tested ‘Surprise 58’ December 1983. • Single piece GRP moulded hull. • Hand consolidated polyester laminate, alternating layers of chopped strand mat & woven rovings. • Laminated longitudinal and athwartships top hat structural members. 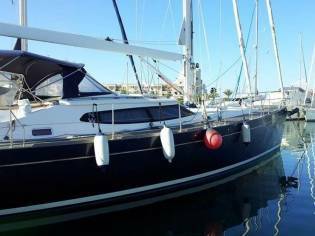 Grabau International (Scotland) deals the details of all boats in good faith but cannot assurance or warrant the accuracy of this information or warranty the quality of any boat and the details do not constitute a part of any contract. A buyer should instruct his agents, or his surveyors, to investigate such details as the buyer desires validated. 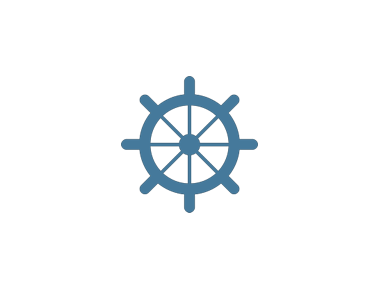 All boats are offered subject to prior sale, price change, or withdrawal without notice. Grabau International (Scotland) provides professional yacht conveyancing and legal transfer of title for all yachts as per the ABYA Code of Practice with all deposit payments and final balance payments processed through secure dedicated client accounts solely for that purpose. Our dedicated client accounts are written in trust at Natwest Bank and we are fully insured. 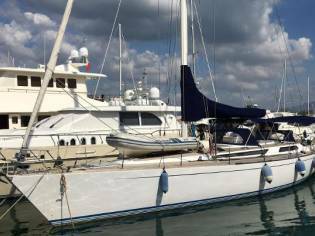 You can buy this Custom Ancasta Marine Surprise 58, sloop of the 1982 for 179.098€. This boat of 16,77m of length and 4.9m of beam can be found in Angus (United Kingdom).